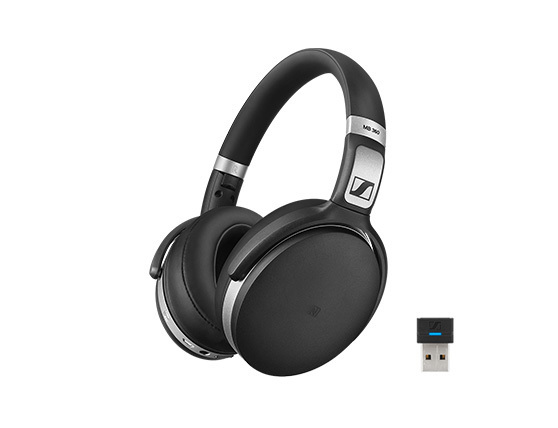 Sennheiser MB 360 UC - - MB 360 UC is a double-sided, Bluetooth® headset with Active Noise Cancellation that reduces background noise to increase work focus. Stylishly designed for contemporary office workers preferring a single device for both calls and entertainment. With ANC for noisy work places and refined Sennheiser music quality for concentration or commute. Over-the-ear wearing style with soft ear pads adds noise damping and long lasting comfort. MB 360 UC is a double-sided, Bluetooth® headset with Active Noise Cancellation that reduces background noise to increase work focus. Designed for today’s style conscious office workers on the move, who prefer to use a single headset for both calls and entertainment - without compromising on business performance or audio quality. MB 360 UC is a double-sided, Bluetooth® headset with Active Noise Cancellation that reduces background noise to increase work focus. Stylishly designed for contemporary office workers preferring a single device for both calls and entertainment. With ANC for noisy work places and refined Sennheiser music quality for concentration or commute. Over-the-ear wearing style with soft ear pads adds noise damping and long lasting comfort. The combination of refined Sennheiser music performance with its rich details, vividness and powerful bass and the benefits of UC productivity gives today’s active employees the flexibility they need in one great looking headset with up to 25 hours of battery life. 238 g / 8,4 oz.